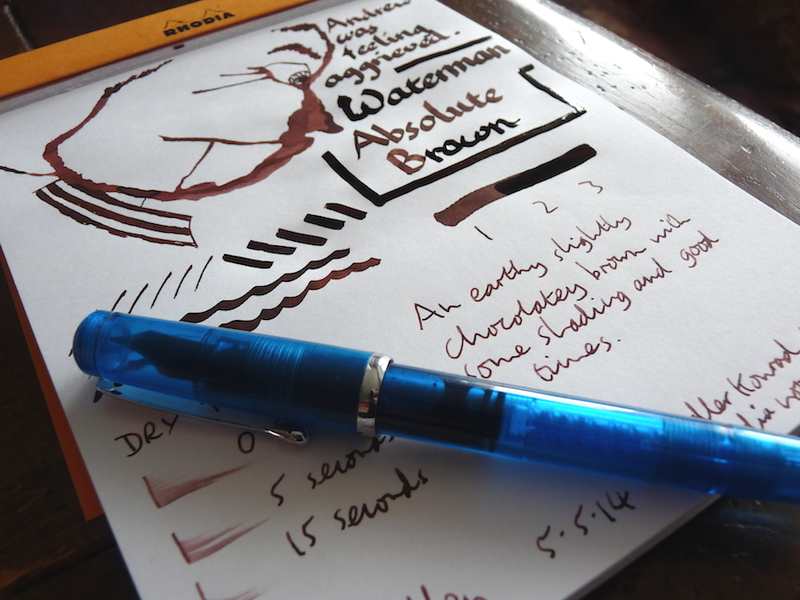 Waterman Absolute Brown ink review – Pens! Paper! Pencils! 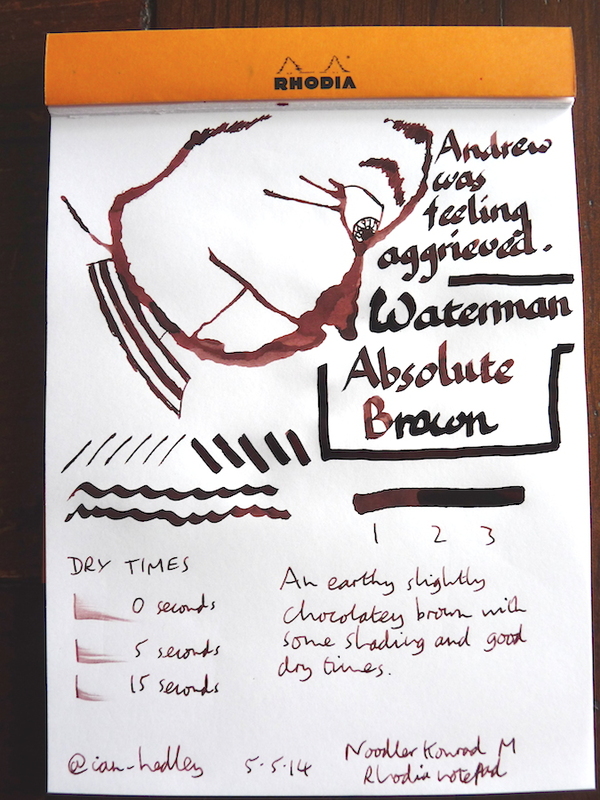 This is a good dark earthy brown with a little shading and good dry times, from the always reliable Waterman. This colour isn’t quite for me, I prefer richer browns such as Pelikan Brown, but if you like this shade then Waterman Absolute Brown is a good choice.